LIVE! from Camp Tamakwa, it’s…Chevy? Home > Blog > LIVE! from Camp Tamakwa, it’s…Chevy? Millions of kids have been attending summer camps for a very long time. Nowadays, it seems like everywhere you turn, there’s SOMEbody who went to camp when they were a kid—even celebrities—wait no, ESPECIALLY celebrities! 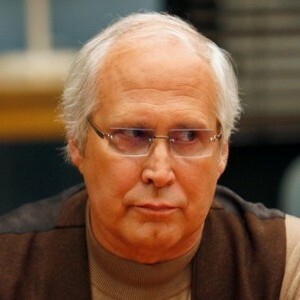 Did you know that Hollywood legend Chevy Chase was a summer camper just like yourself when he was closer to your age? Yep. Clark Griswold himself (Chevy’s serial character from the National Lampoon movies) was once a summer camper at Camp Tamakwa. There, in the beautiful environment of Algonquin Park in Canada, Chevy had a blast with fun activities, making friends, and getting know himself. Speaking of learning more about Chevy, first things first, his real name isn’t Chevy. It’s Cornelius. Cornelius Crane Chase. Nicknamed by his grandmother, the name comes from a folk song from the 14 Century called ‘The Ballad of Chevy Chase’. Despite how well-off Chevy’s family was, Chevy still understood a solid work ethic as he worked hard in order to support himself while pursuing a career in writing. With lots of experience to put on his resumé, Chevy waited tables, sold wine, managed a supermarket department, drove a cab, drove a truck, and worked in construction. Whether on an old SNL sketch, through the invention of Clark Griswold, or his latest character, Pierce Hawthorne, from the show ‘Community,’ over the years, Chevy has made us all laugh (sometimes until we cry). Summer camp did Chevy good. What will it do for you? As always, thanks for reading.